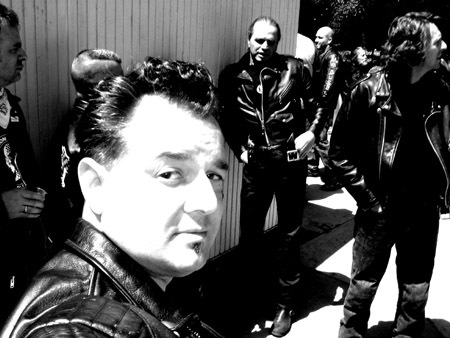 With more than 285 members from 175 cities spanning 11 countries, the Brit Iron Rebels is a worldwide organization celebrating the retro style of the Rockers of the 50’s and 60’s in Great Britain. 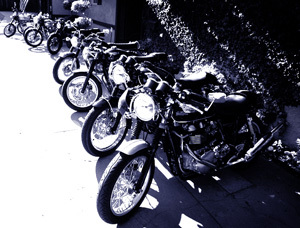 Members are organized into regional "clans," all focused on the preservation, restoration, and promotion of true classic and retro styled British motorcycles, their related events, discussions, and camaraderie between people around the world who share a passion for the same. Brit Iron Rebels membership encompasses all classic and retro British motorcycle enthusiasts: the collector, the purist, the racer, and radical customizer. Together we create a network of contacts, ideas, friendships and enthusiasm essential to ride and appreciate classic British motorcycles. We meet-up every month at Brit pubs in LA. Most weekends you'll find us riding in the SoCal foothills and deserts. 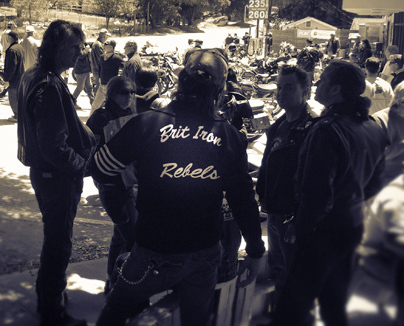 Interested in Riding with the Brit Iron Rebels Los Angeles Clan? So, Wanna ride with the BIR? If you live in or near the Los Angeles area and would like to apply for membership, check out our membership requirements and then contact the LA Clan. Live in another area? See links to other BIR Clans at right, or Contact BIR Worldwide. 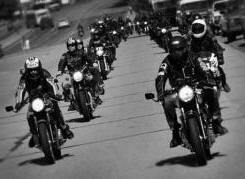 The BIR is NOT an M.C., Outlaw, 1% group, a Harley-Davidson club, biker gang, a political or religious group; nor are we a club open to just any kind of rider or enthusiast. 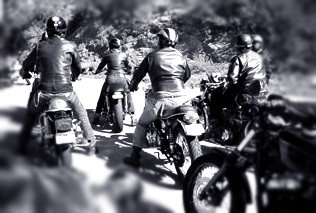 We are a diverse group of men and women from all walks of life, who own classic and retro-classic motorcycles and share a passion for riding, wrenching and rock & roll.